Butcher Babies and the StudioLive CS18AI and RM32AI at Ozzfest Meets Knotfest in 2016! Jason Klein, bassist of the Butcher Babies, tells us about how the band is using the PreSonus CS18AI & RM32AI systems for both their in-ear monitoring system as well as multi-track recording of their live shows via Capture and Studio One—all happening at Ozzfest Meets Knotfest 2016. Learn more about the StudioLive Mix Systems here! Follow Butcher Babies on Facebook! Follow Butcher Babies on Twitter! Follow Butcher Babies on Instagram! Comments Off on Butcher Babies and the StudioLive CS18AI and RM32AI at Ozzfest Meets Knotfest in 2016! Click here to read the article in its entirety, replete with more Wesley-wisdom and additional interviews with other righteous gals. 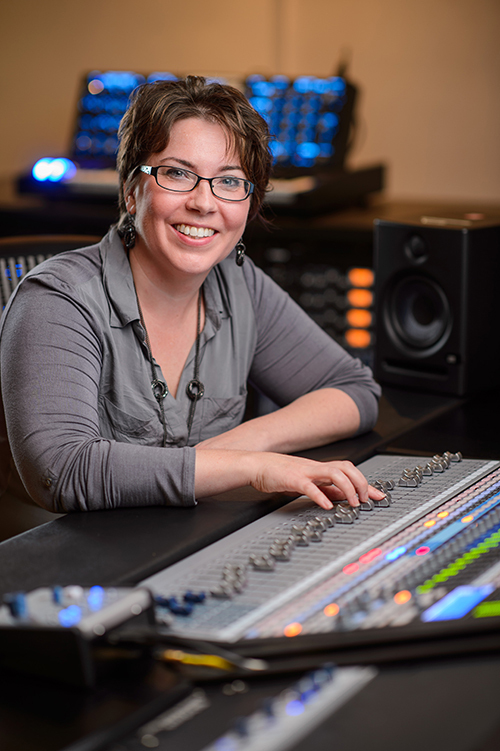 On a related note, click here to check out our Women in Pro Audio blog series from a while ago. According to this article, women account for 5% of producers and engineers—why do you feel this is? As I said in that article, I think 5% is actually generous, but I also feel like this is slowly changing. I believe this imbalance is largely due to differences in the way men and women are socialized around technology from a young age and if this is addressed we could see significant change. At Women’s Audio Mission, we try to demystify science, technology, engineering and math at an early age with our youth program, Girls on the Mic, which offers free training for girls ages 8-18 in the recording arts. We especially like to work with girls in middle school, as we find that’s a particularly formative time for young women in developing confidence, and discovering interests in technology. They pick up audio technology very easily at this age. We train over 450 girls a year in the recording arts and hope that the confidence they gain in creating their own media projects will create a wave of future music producers and recording engineers. What inspired you to start WAM? I started Women’s Audio Mission back in 2003 when I was a professor of sound recording at City College of San Francisco and I was tasked with getting more women into the classes. After I got the average up to about 43%, the largest in the country, I formed WAM to as a central place to share the best practices in addressing the gender imbalance. 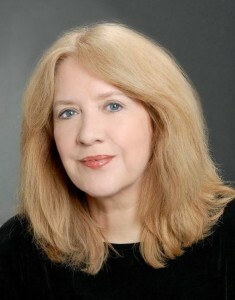 One of the most important methods, besides having more women professors, is in using balanced training materials such as the ones we provide in our online training library at SoundChannel.org. To be honest, Women’s Audio Mission is the only organization focused on advancing women in all disciplines of audio. We not only offer high quality education, but also career support, networking opportunities and loads of resources. We train over 600 women and girls in the recording arts a year in our professional studio located in San Francisco, which was actually selected for a “Best of the Bay” award in the San Francisco Bay Guardian last year. We also provide SoundChannel.org , an online library of animated, interactive audio e-textbooks, to over 6,500 men and women a year from all over the world. We have an exclusive jobs board for members where we post internships and jobs in the industry and we also offer our own internship program in which interns get hands-on experience in sessions. We recently had interns sit in on multiple sessions with internationally acclaimed clients like the GRAMMY-winning Kronos Quartet and the author Salman Rushdie. We exhibit at the Audio Engineering Society Convention each year, increasing women’s visibility in the industry and providing networking opportunities for women at our booth and through our events, including the WAM Happy Hour party we throw every other year at AES in San Francisco and panels like the “Women of Professional Concert Sound” panel we hosted last year at AES. We’ve received enormous support and encouragement from the audio industry, and we are happy to report that they want to welcome women into audio career paths. Within the aforementioned 5%, do you see more women in production roles than engineering roles? What about when it comes to mastering? Arranging? Songwriting? Session musicians? We’re seeing an increase in general across the board with women entering different positions throughout the audio industry. We’ve placed over 200 women in internships and jobs since we started the organization in 2003—these positions range from live sound positions to video game sound production jobs. The video game industry is a sector where we’re seeing a lot of growth in jobs and potential—We’ve already placed two women in jobs in this sector over the past year. What’s your take on the idea that even addressing this situation—through a blog series such as this—is a step in the wrong direction? It can be argued that discussing women in audio as if it’s some sort of big deal further cements the troubling idea that men are normal, and women are different. I think that media exposure for women in audio amplifies the number of positive role models for women and inspires young women thinking about entering audio as a career. There are so few of us that sometimes that’s the only way we find out about each other. The more examples of women in audio we can showcase, the more normalized the idea of women in the recording arts will become for young women starting to enter the field. We also feel that it is important to note differences, rather than ignore them. Women and men are socialized differently and we believe that increasing the diversity in the industry is a very good thing—it includes and improves the representation of women’s ideas and perspectives in our culture. WAM’s been very lucky to be featured in many media outlets, ABC 7 News, NPR, CNET, USA Today, The Huffington Post as well as the audio trade publications such as Pro Sound News, Electronic Musician and Mix, including the article you just sited. We feel it’s incredibly important to show positive representations of women in the field and let aspiring female audio professionals know that we’re here to support them. We have an awesome and quickly growing community of over 9,000 audio folks happening on our social media networks where we share 6-8 audio tips and education sources every day. We hope everyone comes and joins the conversation. We love to hear what everyone is working on. Perhaps it’s a lack of interest in the subject. To be perfectly honest, I got into all this “record and produce myself” affair because I couldn’t afford to pay good studios for all those hours, and pay their producers for every song I wrote. Besides, I wanted unlimited access to recording any crazy idea I got in the middle of the night, be it a song or a beat. I wanted to experiment with my sonic identity. But it is only now that I’m into record production, that I get excited discussing the benefits of a particular piece of gear. 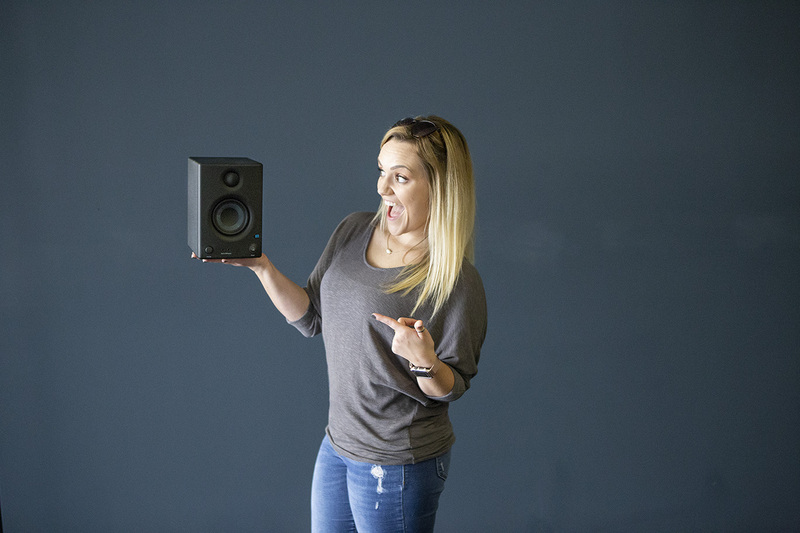 Speaking of gear… I must say, I still think that men get more irrationally excited about all the hardware, all the knobs and faders, and the look of a console with its industrial design and funky lights… I, personally get more excited about what it does to my vocals! I care more about the end result than all the reasons and logic behind third level harmonics that tape produces. It also seems to me that most girls lack confidence, probably because of men, because of all the jokes that men make about women… Could that be one of the reasons why there are not more females in audio engineering? I read somewhere that many female scientists submit their works under a male pseudonym. Food for thought? Are they afraid of prejudice and being judged? It could be a cultural thing too, as traditionally it’s a male-dominated field. And many girls think, “Oh god, I’m not going into all this technical wizardry…. boys ‘n their toys, etc.” Our society, unfortunately, still has many gender stereotypes, and it’s very slow to change. How many women are there as fighter pilots? Or train engineers? Do you feel that, for whatever reason, that there are some elements of the pro audio field that women have a more natural predisposition toward than men? If so, which and why? Girls are highly capable of understanding sound engineering. They’re quite often better at math than guys. Us girls have a knack for multi-tasking. But then again, maybe, the male ability to concentrate on one thing solely, like the harsh frequencies around 2 kHz is a good thing. The smallest gain changes, harmonics and sub-bass frequencies that I hear often differ from the sounds a guy will hear, and vice versa, so I think that you need both sexes to make a truly awesome mix. Like most girls, I tune in to the top end easily—guys will always opt for more bass, often way too much in the mids, and then struggle to find ‘air’ in the mix. This is where you need the female ear! I think, however, it’d be a good thing if more girls got into record production. Nice, clear mixes that aren’t over-compressed, lifeless and flat—that’s the goal! And girls really get that. I think educating people on the differences between being a producer and a sound engineer would help. Sometimes you don’t need to be the latter to be able to accomplish the former. Then there are other fields dominated by women like nursing, fashion, elementary school teachers, publicists. I’m not an expert in those fields, but it seems that there are more women than men. What could be an interesting study is the similarities of characteristics present in fields dominated by a gender. I don’t believe it’s a crime to have an industry dominated by a gender unless the opposite gender is willfully kept out and their contributions minimized. I have never felt left out of engineering or producing because I was a woman. I read the article you’re linked to and am sad for the women who had so many problems getting into this field. My opinions and experiences more closely match those of Trina Shoemaker. If you’ve worked at a lot of studios, you’ll notice a certain personality type being more successful than others in the recording environment. Producing has a little more variety of personalities depending on the producer’s background, skills, financial backing and ability to manage a budget and deadline. Who inspired you to get involved in audio in the first place? My father loved his stereo and bought me a 4″ reel-to-reel tape deck from Sears when I was in 5th grade. We had a lot of fun with it. But I believe his greatest contribution was teaching me to play baseball and how to be competitive. We all follow a path where we get the most positive reinforcement. Eventually, for me, that was music. Playing the oboe (and being competent) opened a lot of doors, along with having 60 piano students when I was 18. At 16, I changed my career focus to being a musician and composer. At 19, I had a very influential teacher, Art Lande, who encouraged me follow my bliss. I left college (as a music student), joined several bands playing electronic keyboards. I was fascinated by sound, overtones and temperments used by various cultures—especially North Indian Classical—I studied the sitar for 3 years with Krishna Bhatt. Formal training to be an engineer didn’t exist in the schools. We researched, bought gear and spent every day in the studio learning how to use the tools. Realistically, that’s 10% of the job. Understanding the needs of the artist is 90% of the job. A happy customer gives referrals. The skills I attribute most to success was my history as a piano teacher/ entrepreneur. If people are going to spend their hard earned cash, you have to deliver confidence in what you do and deliver the best service you can offer. Being a musician myself, I could understand their needs. Give customers what they want, they’ll pay you. Pretty simple. After 20 years, I was very skilled at recording but found the artists were more inclined to rely on protools and less on great performances performances. The job of engineer was like becoming a janitor and the music less exciting to me so, I took 3 years off in search of what to do next. Eventually, I returned to analog tape and DSD (one bit recording that is the closest sound to analog tape.) I started Blue Coast Records and found a whole new set of customers—the end listener and music lover who appreciates high quality recording. I still record and produce as a hired gun, have a crew of engineers, run an intern program with students from around the world and operate a commercial studio– all to analog tape and DSD. We also have a mastering facility to prep PCM and DSD masters—CD, DSD and WAV downloads, and Internet audio. To these, we’ve added a division for creating websites for musicians that cater to the unique needs of musicians and labels. I’m proud of the accomplishments we’ve had in all my businesses. While I’ve been founder in several, I couldn’t do it without the help of hundreds of women and men from interns and high powered advisers to the crew who works with me daily. In 2010 my label, Blue Coast Records, became the first to deliver DSD downloads through the internet to customers around the world. These one bit files are 40x the size of .MP3s and now close to 100 companies supporting consumer playback. Our goal is to add value in quality, and give the consumer reason to pay more for a download. What do you feel are some of the best resources, online and otherwise, for women to get encouragement and support in the field? This is a business of relationships. Don’t be afraid to contact people for advice both men and women. Seek those people you admire. Become friendly with your sales/equipment dealers. Hire people to learn from. You’ll keep these friendships for life as people change and move between companies. Terri Winston’s WAM (Women’s Audio Mission) is a great resource for both women and men to learn from. Rule of thumb: follow your success and the people that like what you do—forget the rest. Not everyone is going to agree with you, and that’s okay. If you’re a woman and don’t get ‘the’ gig, it’s more likely you didn’t get the gig because you weren’t the right person… not because you’re a woman. Learn from it and make yourself the right person for the next gig. Within the aforementioned 5%, do you see more women in production roles than engineering roles? What about when it comes to mastering? Arranging? Songwriting? Session musicans? I’m not holding my breath for gender changing percentages in producing and engineering. The career path as an engineer is practically non-existent unless you’re an entrepreneur. That being said, I do see more roles available for both genders in the web and internet audio fields. Even as a hobby, fewer women produce music at home, although, I see more women asking questions about recording in their home studio. Organization, management, hearing, listening, nurturing, taking care of business, multi-tasking—I do think women are better suited for studio work as a gender. But, I believe that the money is such a struggle that people are moving away from recording as career choice. Large studio systems are going away. If you’re a risk taker, ready to invest and start your own business, there are opportunities. Well, I have to say I’m torn. I’d prefer to talk about what I do other than being a woman. I’d prefer to set an example by doing, not talking about being a woman. It’s interesting that men tend to want to write about what it’s like being a woman in the business… not women. I’d prefer my legacy be my work in the techniques and brands I’ve innovated… not a string of articles about being a woman and how hard it was to overcome. I find being a woman is an asset not a liability. Ryan, what’s it like being a man in this industry? I’ve never been one, so I don’t know. 🙂 Thanks for contacting me. I’m eager to do more articles not on this subject. There aren’t a lot of women in the studio because a lot of men don’t want them to be there. There are exceptions, but the invisible burqa persists, and I’m disappointed that there hasn’t been much progress. My daughter designs games and women in games are much sharper and more up front than women in audio. I’m not sure they are making progress, either, but at least they’re honest about it. Women in the audio area try so hard to fit in when fitting into a mold that doesn’t work for them is really futile. I just built my studio, raised my children and ignored the other stuff. I wish I had more time to spend at my studio, but my elderly mother totaled her car last March and I’ve had to take over running the family farm (150 years old), selling her property, seeing to her medical care, etc. It’s one more reason why women like me have to take time off from career. After being mothers, we become caregivers. Everyone only gets 24 hours a day and a lot of us are supposed to fit 48 hours worth of work into that slot. Solve the child care/ caregiver issue, and you’d see a lot more women in audio. As it is, many of the successful women audio engineers either don’t have children or go on sabbatical to have them. The only job where gender has been a factor is the one where I carried twins and then raised them to become a molecular biophysicist (my son) and a game designer (my daughter.) My mother was a biochemist, my grandmother was a magistrate, and my great-grandmother was superintendent of county schools, so the concept of being a woman with a career was not novel in my family. It was just confusing that the news, the school systems and nearly everyone I encountered on any job that involved technology seemed to reinforce a lifestyle ethic that was out of some dreary “Kinder, Küche, Kirche” belief. I ignored it, of course, but it certainly didn’t help me to obtain clients or money to feed, clothe, educate and house my children. Fortunately, my children are smarter than I am and would rather be nibbled to death by ducklings than work in the music biz. 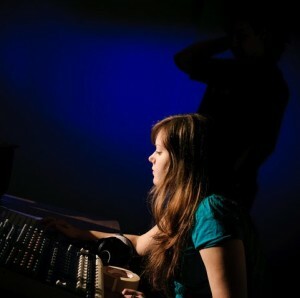 I tend to stay away from the “female audio engineer” ghetto. It does nothing to bring me business and frankly I don’t mix or master with my gender-specific parts. I’ve had no mentors, male or female, but lots of men who have tried to discourage me or separate me from the simple business of audio by trying to make me feel special. I’m not special because I was born female. I’m simply good at what I do, when I’m actually allowed to do what I do. There is no doubt I would have made a lot more money in the biz if I had been a male, but I have never wanted to be a male because I don’t think of myself as male or female when I work. I just listen and respond to the job at hand. 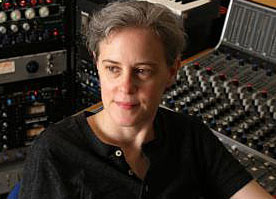 Women in Pro Audio Vol. 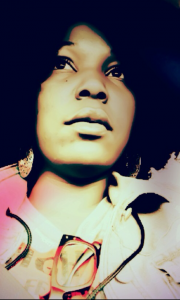 2: Lisa Simmons, Songwriter/Producer at HeatRox Entertainment. Kudos to the PreSonus team for wanting to shed some light on women in audio production! Ironically, I was just speaking to our publisher’s engineer (who just happens to be female) about this very subject during NAMM, so you could not have checked in with me at a more perfect time. First, I would like to say that I am a former recording artist who became a songwriter around the same time, so my experience with audio production did not necessarily begin in a traditional sense—I grew up playing the violin and a little Casio keyboard. 🙂 So, naturally I envisioned myself playing both these instruments on a recording, with my vocals accompanying them, I just didn’t envision that I would be the engineer—I had never heard of a female engineer back then. Fortunately for me, at a certain time in my career; I could not obtain any backing tracks, so by the grace of God, I was forced out of necessity to make my own and record them myself. I had a lot of ideas, and I needed to at least record them and see if it was something useable. Even then, when I was trying to create a home studio, I had no other female peers to assist me. All of the questions I had were answered by male peers in the industry—of course, I was thankful to get the assistance. Since then it’s been a recurring theme to see more male engineers than female. 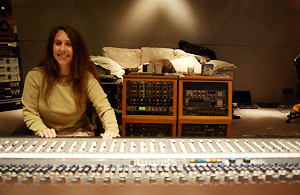 I have only personally met two female engineers, and of course heard the work of one, Marcella Araica, who has made a huge impact over the last few years, as a mix engineer for Timbaland and DanJahandz. Why is this? I have asked so many of my female peers in the music industry: songwriters, vocal arrangers and producers. We all feel that there is a need to learn as much as we can, and we have individually made steps personally towards that goal, and towards empowering other women and men to do the same… but what about the other 95%? Maybe engineering schools should seek more women through outreach programs in schools and performing arts centers. Perhaps if they were to engage more women in a career towards audio production it might help. It’s like what I remember in elementary school: each student had the option of playing a musical instrument, and every instrument you could think of was presented, and all a student had to do was test each instrument and see what works best for them. This type of introduction and education could serve as a great starting point for any studio seeking more female engineers. Furthermore, this approach shows students how fun the production process can be! I started off wanting to be in the forefront, but there was always that part of me that wanted to be involved in the creative process. I’m sure if more woman knew about music production early on, were instilled with a desire to learn the craft, and had the opportunity to work in some of the major recording studios after completing their required certificate for audio engineering, there would be a higher percentage of women in production. When I meet new songwriters and artist, I try to instill the value of learning how to produce their own vocals, and learning a DAW. (Studio One, by the way is amazing, so I have been telling everyone about that!) This way, if the aspiring songwriter just wants to put a idea down, or record a entire song, they will have that option. Of course, it takes away from me being the writer in that sense, but it does something far greater—it empowers others to learn to bring their music to life on their own. Music has no gender or color, its a beautiful gift that everyone should experience and learn more about. As a female engineer I feel pretty strongly about this! My first degree course at Uni was Acoustics and Audio systems—I was the only girl out of 120 guys and absolutely hated it! But at 18, I didn’t know any better. I then went on to do a Music degree, majoring in classical violin performance, arrangement and recording studies. I loved this, as we were pretty much just left to our own devices in the studio, and you found that the people who really wanted to do it came out with a great portfolio, and the people who weren’t that interested gradually stopped using the studios. It was interesting to see that most of the people who weren’t really interested in audio were females. I think a lot of girls don’t really have that much of an interest in learning how to wire up a studio, or if they do get studio work and they realize that they’ll be sleeping on the floor of the studio and working away from home for the next two months they lose interest. However, the female engineers I do know who have persevered with it now all have great reputations and are putting out some amazing work of a really high standard. I’ve had some funny experiences from men in studios but I’m sure every female engineer has, at the end of the day if you’re passionate about something enough to make it your life then you’ll ignore it and focus on the main priority—helping bands make great new music.